The inaugural edition of Chicago’s Cinepocalypse festival has been remarkably celluloid-centric. (But that shouldn’t come as a surprise, given that it’s being held at the Music Box, home of the 70mm Film Festival.) And next to Monday’s 35mm presentation of Suspiria, the most prominent manifestation of that tendency is the Blood, Guts, Bullets, and Octane screening series, selected and presented by The Grey and Smokin’ Aces writer-director Joe Carnahan. 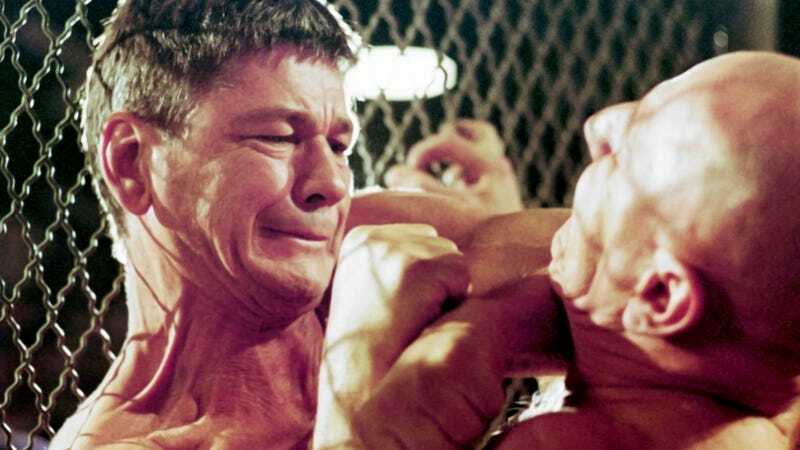 Hard Times, Walter Hill’s 1975 depression-era boxing drama starring Charles Bronson as an illegal prizefighter, is probably the least known title in the series, and the only one not screening on 35mm. (Instead, the Music Box is showing a new 4k restoration of the film.) “That’s one of those films that’s not on enough, but I think it’s one of Bronson’s best performances,” Carnahan says. “It plays to his strengths. He’s a man of few words. It’s all action. The fights are so great.” He considers director Walter Hill similarly underrated: “I don’t think Hill has ever really gotten his due [for how influential he was],” he says, citing Drive, whose story was heavily influenced by Hill’s The Driver. Because Hill’s films are modest and workmanlike, Carnahan believes that “these guys were really great at what they did, but since they had lives outside of filmmaking they aren’t as celebrated” as their flashier counterparts. “When John Woo was in Hong Kong, they were just doing insanely great stuff. Insanely dangerous and insanely great stunt stuff that’s still unrivaled in terms of managing to do that and not kill anybody,” Carnahan says. “They don’t have the same restrictions in terms of on-set safety.” To be clear, that’s a good thing: “It certainly makes for exciting, compelling action cinema,” he adds, singling out Woo’s over-the-top action style as hugely influential on filmmakers that came after him—Carnahan included. “I wouldn’t call Maximum Overdrive a great film, but I certainly love it,” Carnahan says. “I have vivid high school memories of going to the drive-in and seeing it several times.” Compared to Hard Times, which comes from a very ‘70s school of adult-oriented action-dramas, Carnahan thinks that “that one, as goofy as it is, might actually stand up the best because kids today have a great sense of the sardonic and the ironic.” Not to mention the current vogue for all things Stephen King, which Carnahan says “will go down as one of the greatest American novelists of all time” because he “has a great eye for the big idea”—even when that idea involves a vending machine attacking people with flying cans of soda. “Maximum Overdrive is maybe the guiltiest of guilty pleasures, but I don’t care. Killer toasters? Come on, man. It doesn’t get any better than that,” he says.